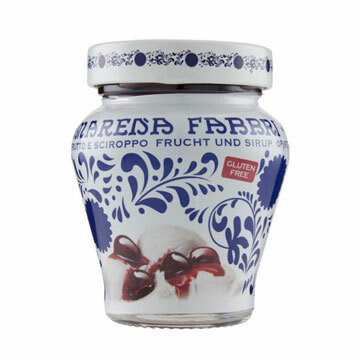 Sweet with an unmistakable tartness, these amarena cherries preserved in syrup are perfect slathered over a hefty scoop of creamy gelato, blended with yogurt for a breakfast treat, or for the mixologist creating classic cocktails requiring a time-honored garnish. The iconic blue and white packaging is unmistakable and makes this product an ideal and versatile gift! Available in 4 oz., 8 oz., 21 oz., 44 oz. and 113 oz. jar/tin. 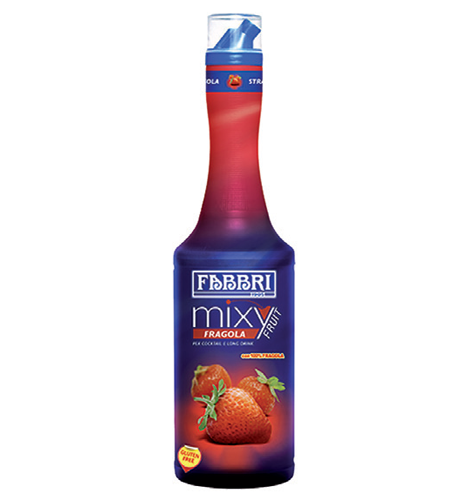 Fabbri’s traditional recipe for making exquisite amarena cherries has inspired a new delight made from strawberries! 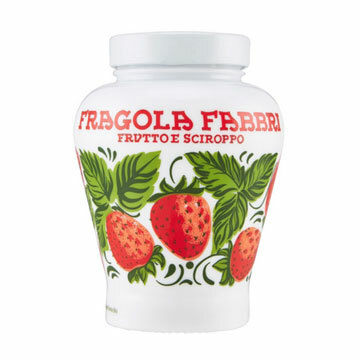 Only the best fruit, candied in strawberry syrup and packaged in the classic decorated iridescent jar. An exclusive gift to be enjoyed on gelato or semifreddo. This most beloved of all fruits, its versatile taste can be combined with a wide variety of flavor combinations. The product is 100% pulp and juice, and it has an intense flavor. This product contains no gluten and it is certified Halal Italia. 46 oz. Bottle. Originally from China, peaches are a juicy, meaty and sugary fruit. 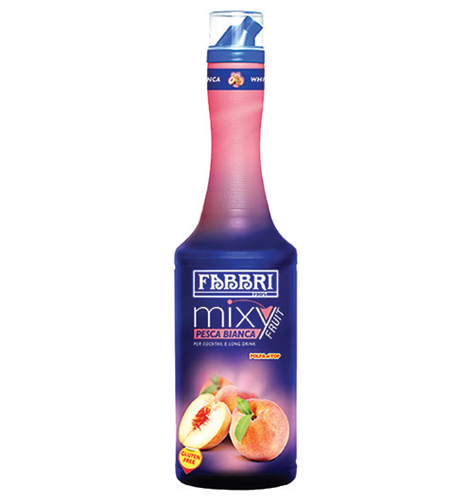 This concentrate is highly flavourful because it is rich in pulp and fruit juice. This product is gluten-free and certified Halal Italia. 21 oz. Bottle.